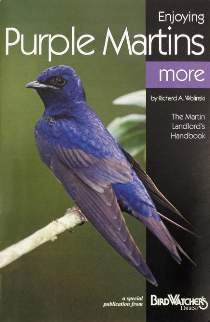 This beautiful full color booklet tells you everything you need to know to attract Purple Martins to your martin house. Learn valuable information about these fascinating birds and what you can do to assure that your colony will grow. 5 x 7 paperback, 32 pages.